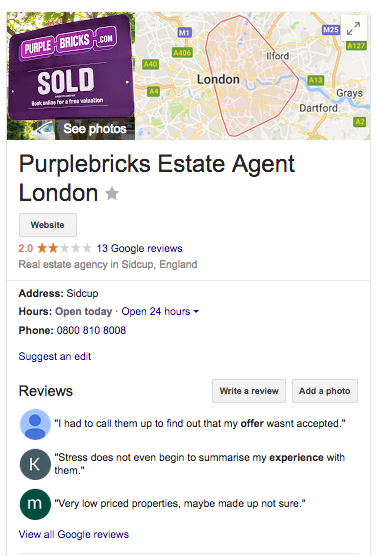 HelpHound Blog: AllAgents suspend listing of Purplebricks reviews - who next? 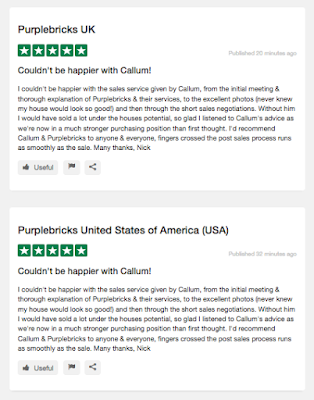 AllAgents suspend listing of Purplebricks reviews - who next? Things have, it appears, quickly moved on to complete suspension. We make no comment on the merits or otherwise of either party's case, but we will be following this story with interest, not least because allAgents are by no means the only site that carries reviews - negative of otherwise - of Purplebricks and every other business on the planet. 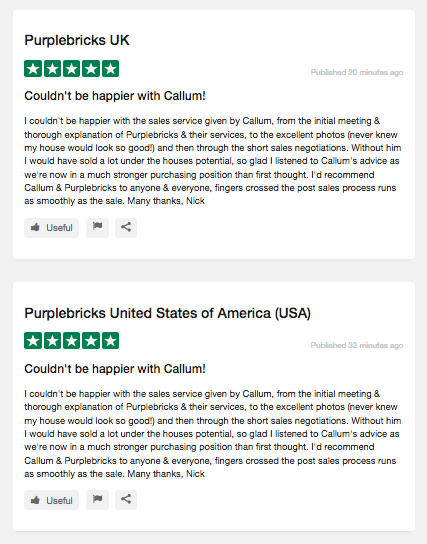 If Purplebricks can get a reviews site to take down its reviews which business and which reviews site is next? Trustpilot - which is Purplebricks' review site of choice - itself released an 'open letter' that is quoted in full on Estate Agent Today. Again, we make no comment as to the accuracy or veracity of the reviews that make up these three distinctly divergent scores, except to say that we don't know quite where they must leave the average consumer. As regular readers will know, we at HelpHound have always had issues with independent reviews websites - it is very difficult indeed for an independent site to market a service that is seen as actively encouraging dissatisfied customers to post publicly visible reviews - and many have mechanisms that are designed to address this very issue. The trouble is that some of these mechanisms can be seen to give rise to potential differences when checked against the Competition & Markets Authority's regulations. There is no need for a business to use an independent reviews site. Adopting proper professional review management gives a business a much more flexible solution - and enables the business to get reviews where they will do the most good (and there's no doubting they do good!) and that is currently on the business's own site and on Google. An article in the Times today. What is anyone to make of a review site where the business has to report the review to the review site it employs? Did anyone at Trustpilot have the slightest inkling that a reviewer with a .co.uk email address may possibly not have sold a property in California. 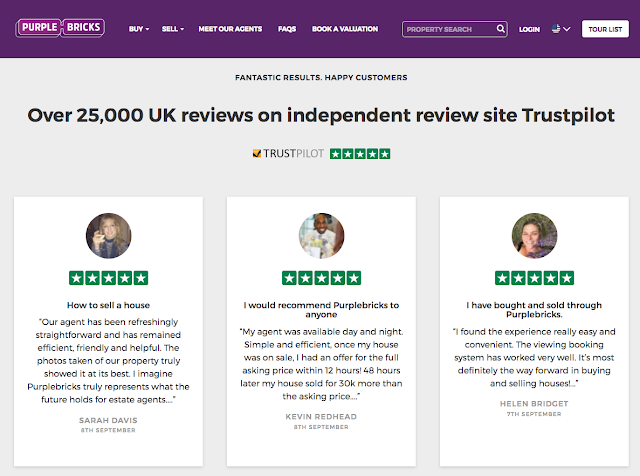 More to the point, did Trustpilot - do Trustpilot - know that Purplebricks only launched in the US last Friday? Reviews of Winkworth in Kennington - nowhere else. 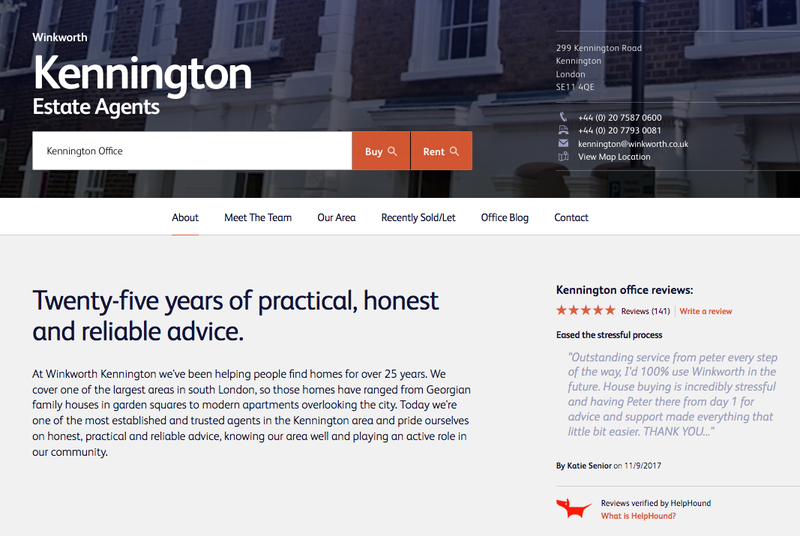 We are sorry if the tone of this article is verging on the intemperate, but here at HelpHound we work very hard to ensure that we, in conjunction our clients, manage their reviews in such a way as consumers are able to rely on them: if a HelpHound client looks good it must be because they are good. We understand that reviews sites are under considerable pressure - on the one hand from some businesses that think it is 'unfair' that people can 'write what they like' about them and want the review site to bend over backwards (and bend the rules - both the CMA's rules and the rules of natural justice) to help them - and on the other from Google; the canal companies were not thrilled when railways came along, but come they did. Google and professional review management are now the solution businesses need - with a sideways glance at Facebook too - and if that means that the independent reviews sites fall by the wayside, then so be it (there was a massive hint that this was happening when Yelp left the UK at the end of last year). 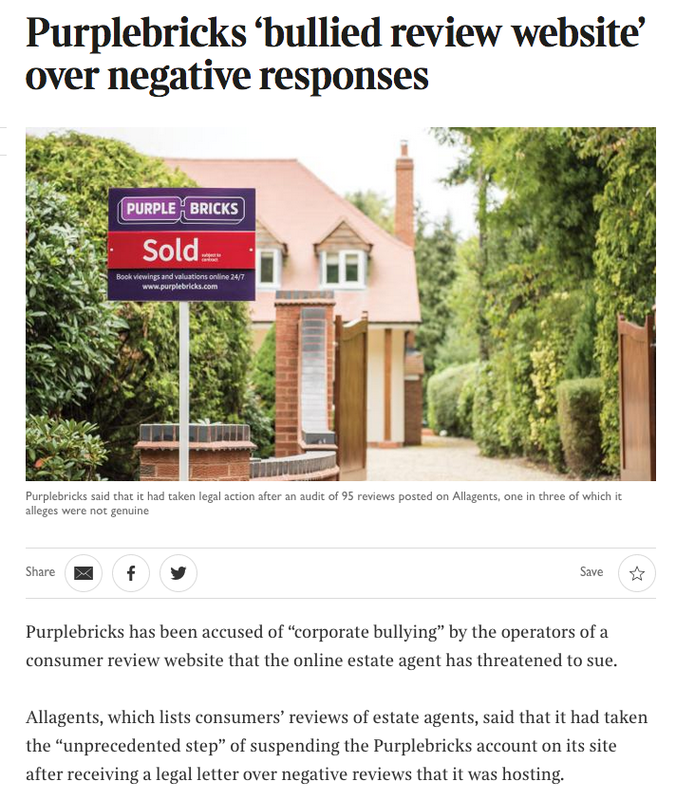 Property Industry Eye "allAgents mount criticism of 'miffed' Purplebricks"
Please feel free to comment on this article - link below - and subscribe - centre right - so you can be sure to receive every article as it is published. If you need more information email fiona.christie@helphound.com.